1. Rs 1600 in a 5 seater sedan car like Dzire and Etios. 2. Rs 2000 in a 7 seater SUV cab like Toyota Innova. 3. Rs 3500 + Rs 500 in a 12 seater tempo traveller with a tour guide. 1. Places to see in Jodhpur. 2. Best food destinations in Jodhpur. 3. Famous markets in Jodhpur. 4. And how to reach Jodhpur. 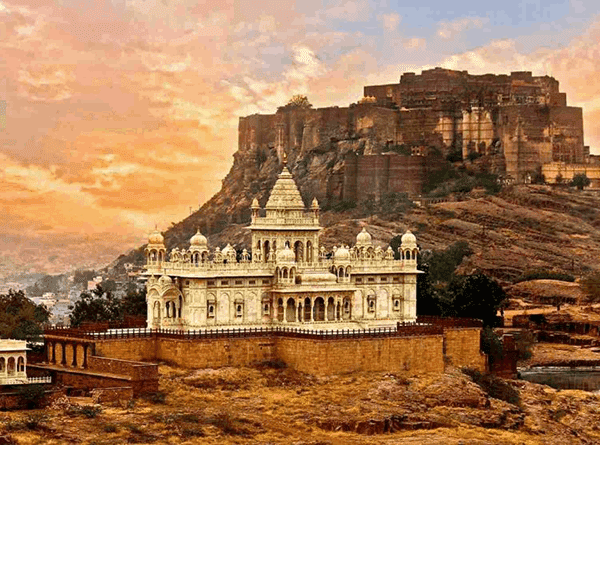 In this package, we suggest to start the tour around 9 AM and explore tourist sites like Mehrangarh Fort, Jaswant Thada, Umaid Bhawan Palace, Mandore gardens and the local markets near clock tower. The cost of this one day Jodhpur sightseeing package is Rs 1600 in sedan cab and Rs 2000 in Innova taxi. The fare of this city sightseeing tour is Rs 3200 in sedan taxi and Rs 4000 in Innova cab.